We are now surrounded by digital media from all sides. Whether they are photos or videos, music, TV shows or video movies, we need to enjoy and share them on a day-to-day basis. People don’t use a tape recorder, CD player or VCR to enjoy their media anymore. Stuff can be watched on a tiny laptop, PC, mobile phone, iPad or a tablet. VLC Media Player is one of the most favored media by the world, which can be downloaded on your device, to start enjoying your media there and then. VLC Media Player serves as a single platform where you can enjoy all of your digital media. You may use it to play any music, watch any video, and also view the photos stored on your device. The great thing about it is that it is absolutely free to download. The product that was founded by VideoLAN 14 years ago has the ability to play all common formats of audio, including WMA, WAV, MP3 and OGG, and video, even the rare and insignificant formats. It can even replace iTunes, without even installing any external codecs. The media player also features AirTunes streaming, with which you can play your files on other stereo speakers as well. Whether you play your files on Windows, Linux or Mac, VLC will stay light, and even enable you to multi-task. You may even use it to convert your files into other supported formats. Another attractive feature is that you can take your video screenshots even during the playback. If you are playing a movie, you also get the option to play subtitles and view videos in full-screen while simultaneously controlling with hotkeys. Unlike most other digital media players, it is not boring and monotonous. You can customize the interface, and change themes and skins as per your changing moods and the numbers being played. This media player works on cross-platform with different versions of Windows, iOS, Androis, Linux, iOS, Syllable, Solaris etc. The Kickstarter campaign backs up Windows 8 port, thus bringing support for VCDs, DVDs and Blu-ray discs. In March 2014, beta version of the media player was released for Windows 8, and in December 2014, the first stable version for Android support was released on Google Play. 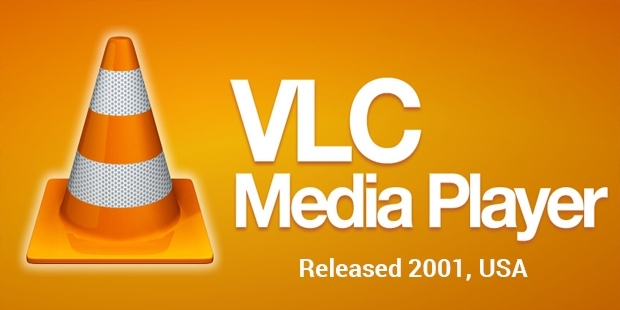 VLC stands for VideoLAN Client, but today, it has become much more than just a client. It acts as a streaming server too. You may set it up to stream media from files or DVDs as a server, after which another client can stream it without the need of any encoding. It is one of the fastest, simplest and most powerful media players out there. You can play everything through it, including files, devices, webcams, streams and discs. It plays most of the codes without any codec packs, and runs on almost all platforms, including Windows, Mac OS X and Linux.